When it comes to homemade pizza, there are many different styles and tastes. Sometimes I’m in the mood for a crispy flatbread pizza, but other times I want a thick, filling crust. When that’s the mood I’m in, this Pan Pizza is perfect. To begin, you’ll get out a large mixing bowl (preferably not metal.) Pour in 1 1/2 cup of lukewarm water. 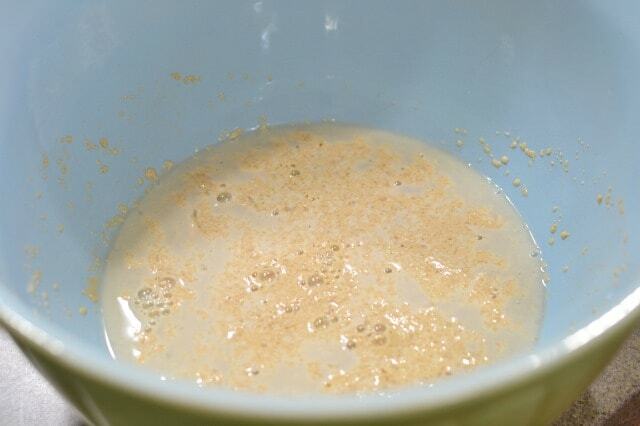 Sprinkle in 1 tablespoon instant yeast and a pinch of sugar. Stir it together and let it proof for about 10 minutes. This makes sure that your yeast is still good. 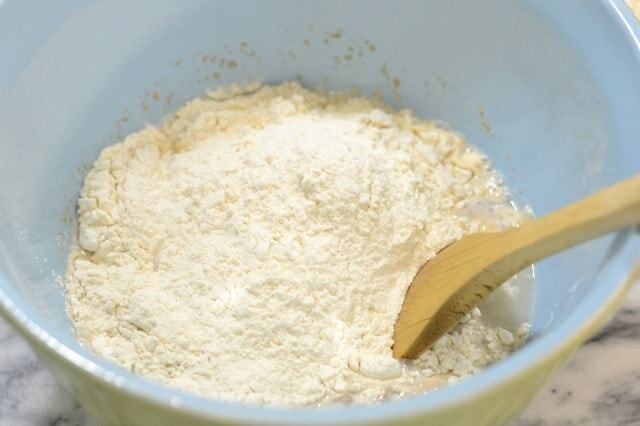 After about 10 minutes, when the yeast is foamy, stir in 2 cups of all-purpose flour. Along with 1 1/2 teaspoon salt and 2 tablespoons of olive oil. As well as a teaspoon each of basil and oregano. 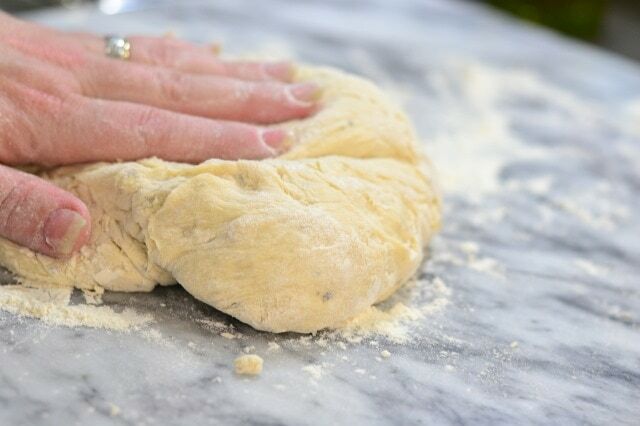 Stir this all together, and slowly add another 2 cups of flour until it comes together into a sticky dough. Turn it out onto a floured surface, and knead this for about 8 minutes, until it is nice and elastic, adding additional flour as needed. 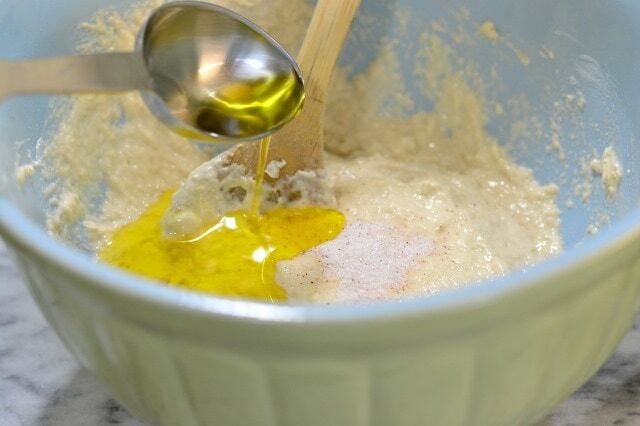 Place the dough in an oiled bowl, turning the dough over to coat it. cover it with a damp cloth, and place it in a warm location to rise for about an hour. While it is rising, you’ll mix up the super simple sauce. In a saucepan, combine 14 ounces of tomato sauce, 1 clove of grated garlic, 2 tablespoons of tomato paste, a tablespoon of oregano, 1/2 teaspoon salt, 1/2 teaspoon black pepper, 1 tablespoon of lemon juice, and a tablespoon of olive oil. Stir these all together and simmer it over medium heat for about 5 minutes. Remove from heat. Time to put together the pizza. First preheat your oven to 425 degrees. Then grab your dough! Get out a bar pan and sprinkle a tablespoon of cornmeal over it. Turn the dough out of the bowl and into the pan and gently stretch it to fit. Now grab your sauce and spread it all over the top. Top the pizza with whatever toppings you like – but not the cheese yet. Today I made a simple Italian sausage (browned) and pepperoni pizza. Pop this in the oven and bake it for 10 minutes. After it has baked for 10 minutes, pull it out and sprinkle on whatever kind and quantity of cheese you like. I used about 2 cups of mozzarella and provolone shredded. Pop it in the oven for 10 more minutes, and tadaa!! To begin, you’ll get out a large mixing bowl (preferably not metal.) Pour in the lukewarm water. Sprinkle in the yeast and a pinch of sugar. Stir it together and let it proof for about 10 minutes. This makes sure that your yeast is still good. After about 10 minutes, when the yeast is foamy stir in 2 cups of the all-purpose flour, along with the salt, olive oil, the basil and oregano. 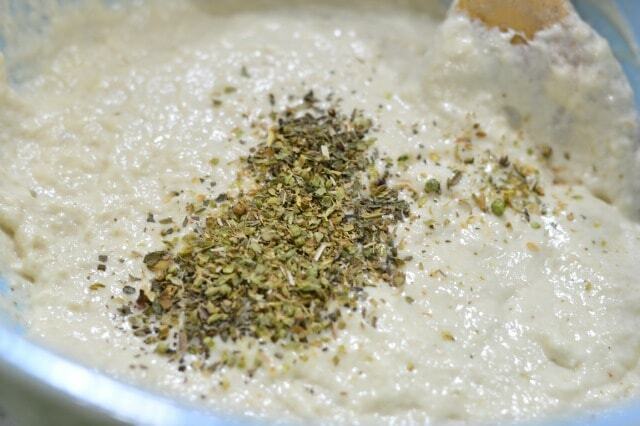 Stir this all together, and slowly add another 2 cups of flour until it comes together into a sticky dough. Turn it out onto a floured surface, and knead this for about 8 minutes, until it is nice and elastic, adding additional flour as needed. 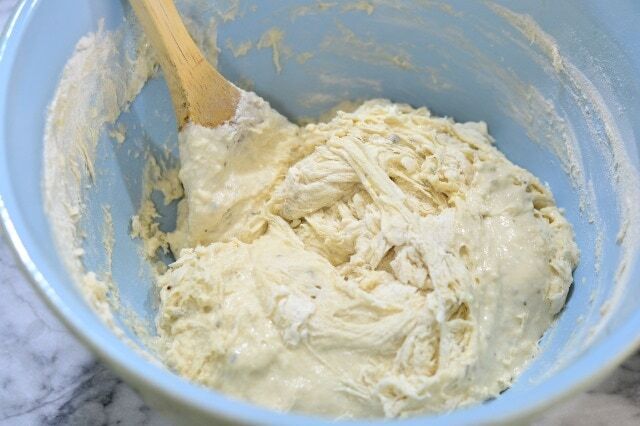 Place the dough in an oiled bowl, turning the dough over to coat it. cover it with a damp cloth, and place it in a warm location to rise for about an hour. In a saucepan, combine all of the sauce ingredients. Stir these all together and simmer it over medium heat for about 5 minutes. Remove from heat. Get out a bar pan and sprinkle the tablespoon of cornmeal over it. Then dump the dough out of the bowl and into the pan and gently stretch it to fit. Now grab your sauce and spread it all over the top. Top the pizza with whatever toppings you like – but not the cheese yet. I used some browned Italian sausage, and some sautéed onions and green peppers. Use whatever you like on your pizza. Pop this in the oven and bake it for 10 minutes. Then pull it out, sprinkle on whatever kind and quantity of cheese you like. I used about 2 cups of mozzarella and provolone shredded. Pop it in the oven for 10 more minutes, and enjoy! Want some more pizza inspired recipes? How about Pepperoni Pizza Rigatoni? Previous Post: « Sleep All Day?! I saw this linked with a bunch of pizza recipes on thecrumbykitchen and had to check it out since I love the idea of a pan pizza, also like crispy crust pizza, thank you for breaking this down with a home-made pizza dough (like the spices that you add to the yeast!) and super simple sauce, but basically just love that you’re using a sheet pan since that’s easier for me to spread dough across than on a pizza pan! Why didn’t I think of that? I love all varieties of pizza crust thickness but sometimes a traditional pan pizza is what I crave most. This looks amazing. I can’t wait to try your crust. I’m seriously in need of a good crust recipe and that looks fabulous. The herbs in the dough are the kicker for me! Yum! I like to put herbs in my crust too. Your pizza looks terrific! Loved this!! How delicious, this is going into our bake folder for the kid to make pizza from scratch!! Yummy. I take the whole pan please!